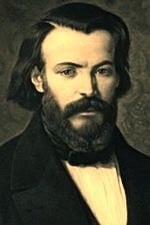 In May 1833, Antoine Frédéric Ozanam (23 April 1813 – 8 September 1853), a brilliant young law student and journalist at the time, founded the society of Saint Vincent de Paul in Paris, France. The living conditions of the poor so appalled Ozanam that he organized himself and six other students into a society dedicated to serving those in need. They named the society after Saint Vincent de Paul (24 April 1581 – 27 September 1660), a priest who had dedicated his life to charity. The Saint Vincent de Paul Society spread at an incredible rate. Today, the Society operates in more than 130 countries around the world. The Society is dedicated to serving everyone, regardless of their colour, race, gender, or religious beliefs. Members of the Society come from all walks of life, and work in quiet, non-judgmental ways to uplift and serve humanity. In the early 1980s, a group of Prince George residents saw the need to provide an evening meal to people living in the downtown rooming houses and those who were homeless. From this initial work of providing sandwiches and coffee on the street came the first Conference of the Saint Vincent de Paul Society of Prince George. This service is now provided from our Drop-In Centre at 1220 Second Avenue. Later, the Saint Vincent de Paul Store was started. 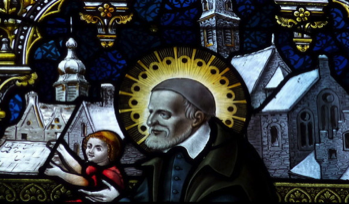 Though a man of inexorable good deeds, St. Vincent de Paul was not a man of inexorable good humor. Though a man of inexhaustible kindness, he was not a man of inexhaustible patience. He was quick-tempered. He was cantankerous. But he was kind. Though he is a saint, St. Vincent was also a man—and saints that were more human than angelic are sometimes the best ones to emulate. St. Vincent de Paul is such a saint—a saint who was clearly a man who also happened to be a saint rather than a saint who also happened to be a man: a man who clearly relied on the grace of God in order to collect the lowly in his strong and rough embrace. 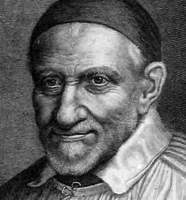 St. Vincent de Paul was short and squat with a square jaw and a square beard. Brown eyes glistened beneath black brows on either side of a peculiarly bulbous nose. In art, on the other hand, he is usually characterized with a meek gentility, smiling benevolently as he bears sick babes in from the wintry cold. This tender iconography of his tradition stands in contrast to the gruffer topography of his face, but together they convey an accurate idea of the man and the saint. St. Vincent was a man of coarse, country kindness who found, and then founded, a home with, and for, the very people he, as a young man, never imagined he would call his brethren. 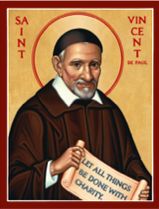 St. Vincent de Paul was an ordinary saint. He was not a visionary. He was not a prophet. He was not a wonder-worker. He had no powers save those that every ordinary man has at his disposal—and he used these and these alone to change the lives of those he met. As for himself, he changed his own into a life that reflected the sturdy and hidden life of Christ the laborer, poor by His own choice. The secret that inflamed St. Vincent’s simple and stalwart heart was that people should look after one another—that people should love their neighbors as themselves—and that each person should shoulder the responsibility and the labor of this philosophy willingly and determinedly. Though poverty and hardship were things that tried his patience, human as he was, it became the foundation of his existence, his home, his heart, his heaven.